At SilverTribe, we’ve prized ourselves for years on the quality craftsmanship, dazzling bold hues and intricately woven designs our stunning jewelry is known for. From eye-catching bracelets, necklaces, rings and earrings, to awe-inspiring gems like turquoise, coral and amber, the deep mysticism and alluring beauty behind our classic pieces is unparalleled. However, while our team at SilverTribe is 100% dedicated to providing stylish quality with all our timeless jewelry pieces, we’re also firm believers in the belief that statement-making accessories should never come attached to a sky-high price tag. In order to ensure all of our cherished and valued customers get access to our most prized and personalized kinds of southwest-inspired jewelry, we’ve created an extensive section for top jewelry deals and sales. And with up to 20%, 50% - even 75% - off some of our most coveted items contained in our jewelry vaults, there’s truly no reason to start reeling in the savings in style with our selection of jewelry deals. While all of our finely-crafted items come packaged with the utmost care and stunning beauty, it’s the unique flare behind every ring, pair of earrings, necklace or bracelet that puts our collection of jewelry deals at SilverTribe a step above the rest. The possibilities for personalization are endless. 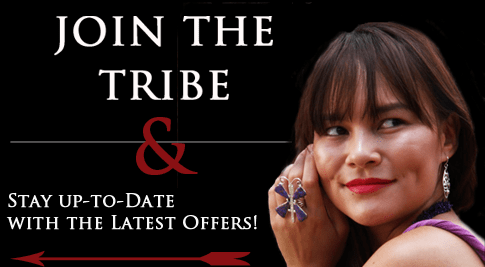 From bold, sterling silver cuffs adorned with mesmerizing turquoise gems, to beaded coral necklaces with unique and fun pendants, the kinds of style statements you can make with a piece of trendy, southwest-dipped SilverTribe jewelry are unparalleled. All of the items contained within our collection of jewelry deals come attached with a unique, southwest style. SilverTribe has been fortunate enough to sustain lasting relationships with some of the most talented southwest jewelry artists in the industry, each of whom inject meticulous care and craftsmanship into each one-of-a-kind pieces they produce. One of the most common misconceptions with the term “sale” or “deal” – especially associated with jewelry deals – is that red-marked items are the ‘barrel of the bin’. In other words, that sale items are, in some way, lower in quality than regularly-priced pieces. But when it comes to the kinds of quality items found in all crevices SilverTribe’s jewelry vaults (marked down or not), it’s a stigma worth squashing. All of the timeless necklaces, bracelets, watches, brooches, pendants, earrings and rings contained within our selection of jewelry deals contain the same quality craftsmanship and dazzling allure associated with all of our regularly priced pieces – 100% guaranteed. Whether it’s an intricately crafted multistone inlay cuff bracelet, or a beaded turquoise and coral shell necklace painted with a trendy southwest-style canvas, there are no bounds to the beauty our collection of jewelry deals holds. And with 25%, 50% - even 75 and 80% - possible markdowns on all our stylish pieces, there is no reason not to rummage through our collection of highly affordable jewelry deals and saves. However, it can be quite difficult to find a jewelry item that hasn’t been reduced in price at SilverTribe. Our team is dedicated to finding new ways of making all our personalized, highly fashionable jewelry items affordable for all our valued customers. On top of continuously scouring for the best jewelry deals to serve our customer’s needs, we at SilverTribe are equally dedicated to ensuring the utmost level in customer satisfaction. If you are at all dissatisfied with an order or have a question about a particular piece of jewelry, we’d love to hear what you think. Don’t hesitate to visit our contact page for more information. Looking to score even more deals on our uniquely fashionable and highly personalized pieces of southwest-inspired jewelry? Be sure to visit our homepage and sign up for the SilverTribe emailing list. With a few clicks of the mouse, you will become eligible for a vast array of exclusive deals and rewards, as well as the latest seasonal fashion tips and tricks. Explore the boundless fashion statements you can create at SilverTribe.com today.